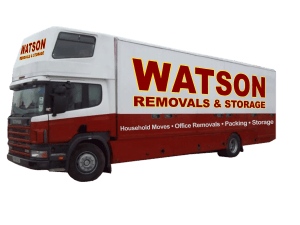 At Watson Removals Oxford, we offer commercial and domestic customers a bespoke storage service in Oxford. Simply tell us what you want to store and how long for, and we’ll take it from there. 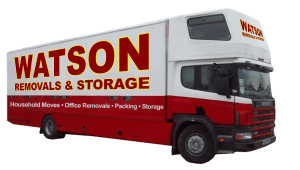 You can arrange storage if we’re carrying out a removal on your behalf or if you just want the items collected and removed from your office or home and taken away for storage, we’re happy to do that too. Either way, one call is all it takes to arrange storage, whether you’re a sole trader wanting to store excess stock for a short time, a local business running out of space, or a homeowner wanting to keep some furniture in a secure location for a few months or more. As a family-run business, we’ve been offering storage solutions to local homes and businesses in Oxford and the surrounding area. In that time, we’ve built up a reputation for providing first class storage services to all of our customers, while charging competitive rates for what we do. When it comes to storage, we don’t take a one size-fits-all approach, and we only charge you for the space you really need. Still not sure? Just give us a call and we can give you a no-obligation quote for storage, so you know exactly where you stand. Our partners storage facilities benefit from 24/7 security and are temperature-controlled to provide a stable environment. You can hire storage space for a few days, a couple of weeks, several months, or for however long is necessary. As a customer, you’ll have access to your possessions any time during normal hours, or out of hours by arrangement. If you need help moving items around or want something delivered to a specific location, our fully trained staff will be happy to do that for you. We also provide full packaging services, so if you need something securely boxed before storage, we can do that too. What do you want to put in storage? To find out more about our services or to get a free, no obligation quote for storage, contact us today.